More than 800,000 hectares of cropland and crops have been destroyed by the impact of Cyclone Idai, the Southern African Development Community (SADC) Chairperson said Thursday. According to the SADC Chair, President Hage Geingob during the launch of a regional appeal for humanitarian assistance, these developments will further compound the already drought compromised food security situation in the affected countries. “The envisaged assistance will complement national resources and efforts in ensuring early recovery of people in the three affected countries who have lost everything, including their socio-economic livelihood,” he added. Geingob said the main objective of the appeal is to urgently provide the needed humanitarian assistance and be able to save more lives and provide the basic needs and services as well as strengthen the coordination capacity at national and regional levels, among others. 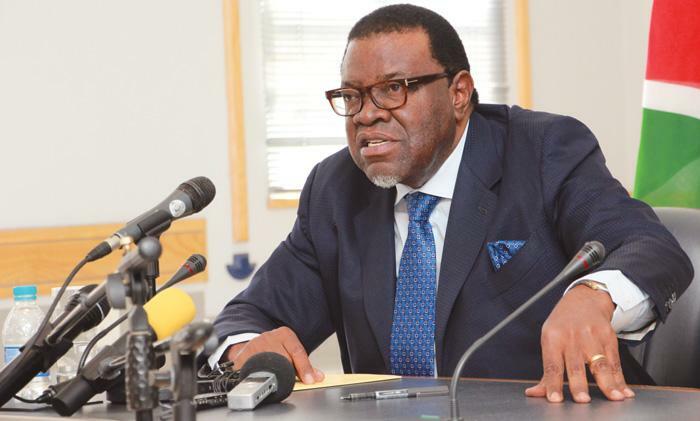 Geingob appealed to all international cooperating partners, regional and international stakeholders, the international community and the private sector to continue to assist in rebuilding the livelihoods of the affected communities in Malawi, Mozambique, and Zimbabwe. “While the disaster that we are faced with today is unprecedented, we are confident that, working collaboratively, we will again overcome and rebuild the lives of the affected communities and restore their dignity,” he added. The cyclone which has been classified as one of the worst weather-related disasters ever experienced in the Southern Hemisphere, damaged road infrastructure and properties thereby impeding the provision of assistance to the affected communities. According to Geingob due to the severe and devastating impacts of Cyclone Idai, about three million people require immediate humanitarian assistance, including food, shelter, clothing, potable water, sanitation, and medical support.